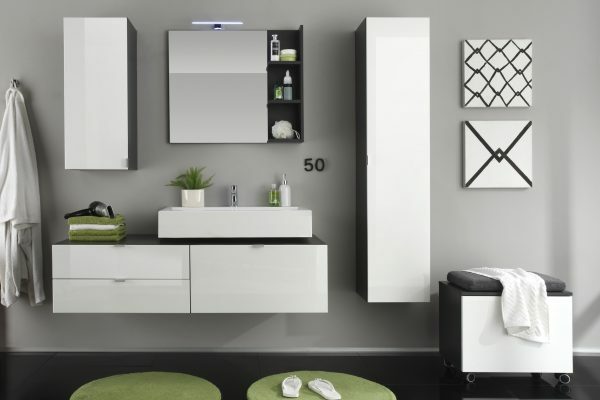 The Beach Bathroom Range is a simply amazing range of bathroom furniture that is very flexible and can be setup to suit almost all bathrooms in a home. All our products are made to order with our German Manufacture partners. This ensures that we only sell the highest quality furniture to our customers. Week 1 - We review and confirm the order can be fulfilled within expected timeframe and place order with the manufacturer. If it cannot be fulfilled or the delivery date is over 8 weeks we reach out to customer to find a solution they are happy with, alternatively we refund and cancel the order. Week 3 - 4 - Order goes into production. Week 4 - 6 - Products arrive at our warehouse. Week 6 - 8 - Products are reviewed and sent to customers home via our dedicated delivery team or courier depending on products. For home assembly/fitting our team will contact you to arrange a date and time that suits you. Our base is in Waterford city where we display our products in a showroom and have a warehouse facility. We fulfil all orders from this warehouse to all 26 counties in ROI.